If you are a collector you have to have one of these or your collection. If you don’t, your collection is missing one of the most important pieces of motocross history. 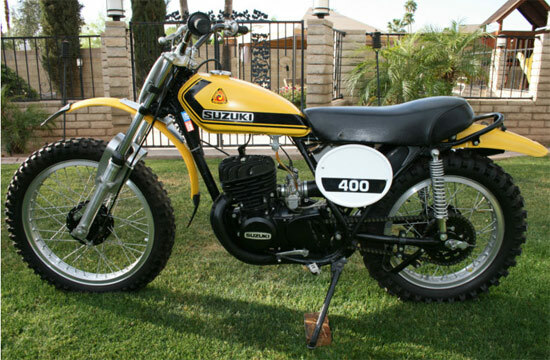 The Suzuki TM400 was manufactured for the 1971 season and coincided with the signing of Roger DeCoster in October 1970. Nicknamed the ‘CYCLONE’ the TM400 was the first Japanese production motocrosser to be mass-produced. The huge 82.5mm bore piston turned out 40 bhp at 6,500 rpm. This is an original, very rare, TM400 race prepped back in the 70’s with a Preston Petty front fender with period mud flap, racing foot pegs, conversion from oil injection to pre mix and front fork flex loop. Just take a look at the pictures; there is not much I can say more than the pictures already show you. This is a clean original version of the 72 TM400J. If you are a collector you may never have another chance to pick up this rare a bike, in this original condition. This is not a cosmetic makeover. This bike is in original unrestored condition. Since this bike is a 40 year old motocross bikes, in original condition, it is not show perfect (but darn close). I tried my best to give detailed pictures. Bike starts on first kick, runs great, shift smoothly and has excellent dampening on both ends of the suspension. All I have done is put on a new number plate and side panels. I purchased this bike from a gentleman I meet at this year’s Barrett Jackson auction in Scottsdale. 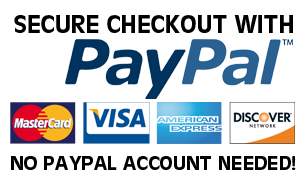 He was the original owner and the bike comes with original bill of sale and supporting documentation. In addition, this bike is titled so international shipment is not a problem. This is more than a collector bike, this is an investment opportunity, that’s great to look at. Or take it out and ride it, if you dare!! This is a true investment opportunity. If you like Suzuki’s and more importantly a fan of MX history don’t let this bike go to someone else. This bike is not cheap, but if you appreciate the rarity and value of an original 40 year old Suzuki TM400J in unmolested condition, good luck in your bidding. Now is your chance to own a piece of motocross history.